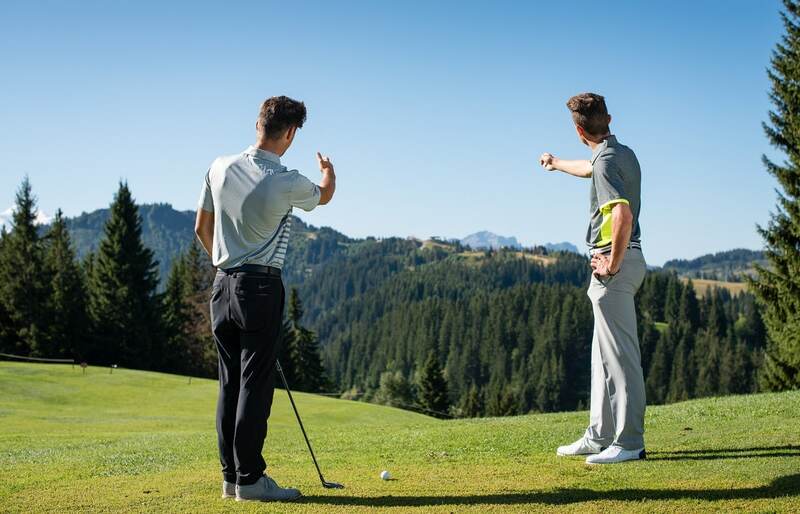 To make sure everyone has a good time on the 18-hole course at Les Gets Golf Club, please respect a few basic rules! For further information, please contact us. On the fairways, you place your ball. Balls that touch a chairlift seat or cable must be replayed without penalty. Pylons for ski lifts are considered to be immovable obstructions. 135-metre distance markers are measured from the front of the green. Balls lying on roads and access roads on the course can be dropped without penalty. Fencing is considered to be out-of-bounds unless indicated by stakes. Stones in bunkers are movable obstructions (Rule 24-1). An embedded ball can be lifted, cleaned and dropped, anywhere on the course (except of course in obstacles). “Ready Golf” is a recommendation made by the R&A and the French Golf Federation (and not a new rule) which has saved 12 to 20 minutes on a “normal” round at “test” events. If the player furthest from the hole is not ready to play (for whatever reason), if the other player is ready to play, he/she must do so. Be careful, this can be dangerous and must be done safely and responsibly. When a ball is easy to putt, putting out even if it means standing close to someone else’s line. It is not necessary to mark your ball when the ball is not in the way of the other player. Please note it is preferable to inform your golf partners. In stroke play, there are no penalties if a player plays when it is not their turn, there is no issue with the rules. However, in matchplay, it is essential to have agreement from your opponent who is within their rights to cancel the shot that is not played in the correct order.